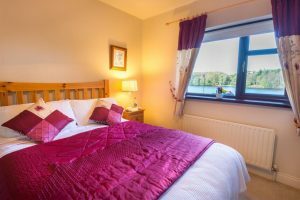 Recognised by Fáilte Ireland and Le Guide de Routard, Brigown Bed & Breakfast is ideally situated with magnificent elevated views overlooking the famous River Moy and Belleek Woods. Only 2km from Ballina town, it is situated at the Quay Village, Ballina, a Discovery Point on the Wild Atlantic Way. Enniscrone is located just 6km away which boosts a 3 km unpolluted beach with stunning sunsets, a 18 course golf course and a seaweed bath house. Looking for a B&B with a difference? 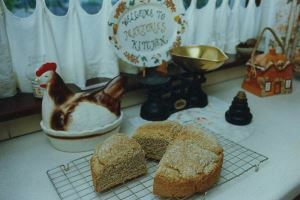 Why not enjoy a relaxing break at Brigown Bed & Breakfast, where a warm welcome awaits, and you can enjoy a cuppa with one of Marjorie’s mouth-watering homemade treats on arrival? Marjorie, your host at ‘Brigown’ is a household name when it comes to cooking, and features regularly on local and national media. She offers cookery courses, classes and demonstrations for everyone, regardless of age or ability. 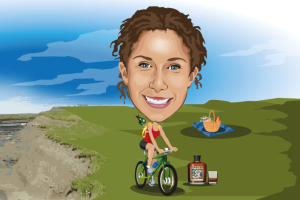 Enjoy a fun outdoor adventure with Rachel’s Irish Adventures. Rachel, Marjorie’s daughter, will tailor an activity and cultural package to suit your needs and give you a real local experience.